1916– Constables #4005 William MacBrayne and #5535 Samuel Whitley were both awarded $25 from the Fine Fund for meritorious service in the George Leek murder investigation. 1932– WW1 flying Ace W.R. (Wop) May is recruited to assist the RCMP is the search to find and capture Albert Johnson, the Mad Trapper of Rat River. With his assistance Johnson is cornered and killed in a shootout. 1952– King George VI dies in his sleep and Princess Elizabeth who is on safari in Africa accedes to the Throne as Queen Elizabeth II. After her coronation the crest of the RCMP is redesigned to include the St. Edward crown replacing the Imperial State crown. 1975 – Members of the RCMP in “K” Division and the residents of Alberta become the envy of the rest of Canada when the Provincial government cuts personal income tax by 28%, making Albertans lowest-taxed Canadians. 1975– After eight boys from Conception Bay Newfoundland decide to play on the sea ice they find themselves in serious trouble when the ice flow they are on is carried out to sea. Fortunately for them RCMP helicopter pilot Staff Sergeant Doug McKay along with his mechanic Special Constable Tom Manning find the boys and pluck them off the ice and return them home safely. 1978– While off duty in Winnipeg Manitoba #27207 Cst. L.S. Reissner, witnessed a robbery and though he was unarmed, arrested Raymond Andre after he tackled and disarmed earning himself a Commanding Officers Commendation. 1995– While serving with the United Nations as instructors at the National Police Academy in Haiti Sergeant Kenneth Charles Gates, and Constable Bradley Ernest Kent were called upon to apply first aid to a recruit who had an infected knee. When the men examined the knee, they recognized that the knee was seriously infected and without proper medical treatment the cadet would likely die. They immediately transported the man to the hospital, an in the process saved his life. A few days later, Cst. Kent was instrumental in saving another recruit’s severely infected arm. Two weeks later both policemen were relaxing at a local beach on their day off when they saw a swimmer struggling against an undertow. Recognizing that her life was in danger the men rushed into the water and despite the strong wind and choppy water they swam out to the distressed woman and brought her back to safety. In recognition to their professionalism and a ready willingness to help those in need both men were awarded the Meritorious Service Medal on August 28, 1999. 1984– Commendation to #28082/ O. Robert Gallup, #30252 J.M.R. Potvin, #31157 J.R.J. Garneau, #33492 J.D.P. Boudreau & #37615 A.J. Cote safe arrest of hostage taker. 1911– Inspector Francis J. Fitzgerald the leader of the ill-fated “Lost Patrol” made his last entry in his diary “only go a few miles a day”. 1986– Constables #28797 Garry J. Kingsbury and #31946 D.R. Gormley apprehended a dangerous mental patient who had taken medical staff hostage at the hospital in Winkler, Manitoba and threatened their lives. For their bravery in arresting the violent man without incident, both men were awarded Commanding Officers Commendations. 1972– Constable Dale Edward Dickrow earned a Commanding Officers Commendation after he removed a bomb from a public locker in the Vancouver International Airport. 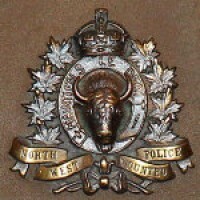 1988– #37945 Constable L.J.B. Beck nee Brown revived a prisoner in cells who had stopped breathing by using CPR and was awarded the Meritorious Certificate from the Most Venerable Hospital of St John of Jerusalem. 1993 – #31859 / O. J.E.G. Rochette rescued stranded child from cliff side near Vedder Crossing, B.C. 1912 – #4751 Constable Edward R. Clark’s stint as the NCO in charge of the Town Station Detachment at Maple Creek, Saskatchewan did not go well. The man was brought up on charges by #O.116 Superintendent F. J. Horrigan, who convicted him in Service Court on charges that lost one handcuff key. After finding him guilty the officer confined him to barracks for seven days and ordered him to pay 20 cents for a new key. 1916– Fire destroys the wooden Centre Block of the Parliament Buildings in Ottawa, killing seven people. The Parliamentary Library is saved by a quick-thinking clerk, who closes the iron doors. The tragedy is widely blamed on German wartime saboteurs. A new building, containing the Commons and Senate, is rebuilt of stone in the Gothic revival style, and completed in 1920. 1942– #13438 Cst. William Henzie is drafted into the RCMP Provost Corps, during the 10th reinforcement draft during WWII.1947– Another chilly day for members of the RCMP when the lowest temperature ever recorded in Canada registers in at -64C (-83F) in Snag Yukon. 1998– To celebrate the 125th anniversary of Force Corporal #35273 Jacques Maillet, constable #45072 Manuel A. Pizarro-Arellano, #45083 Cliff R. Chastellaine and Mr. Richard Getzkow, of Gibsons, BC climb Mount Aconcagua in Argentina. Climbing the highest peak (6960 meters) in the Americas is no easy feat at the best of times but climbing in a fierce blizzard with high winds is treacherous. They barely survived the climb while other nine climbers who were attempting the same feat perished. For their efforts they raised over $23,000 for Children’s’ Wish Foundation. 2011 Constable James Alan Moir, M.B. – After a period of freezing rain, Constable James Alan Moir was on the scene where several cars had skidded into the ditch near Yale, BC. A passing truck also lost control on the icy road and slid towards a girl, who was standing nearby. Constable Moir reacted quickly and pushed her out of harm’s way before she was hit by the truck, while rescuing the girl Cst. Moir was pinned between two vehicles. Fortunately, bystanders were able to pull the trucks apart to free the injured constable. For his quick thinking and bravery in saving the life of the girl, Constable Moir was awarded the Medal of Bravery. The Greatest Brit Pays a Visit to Canada!